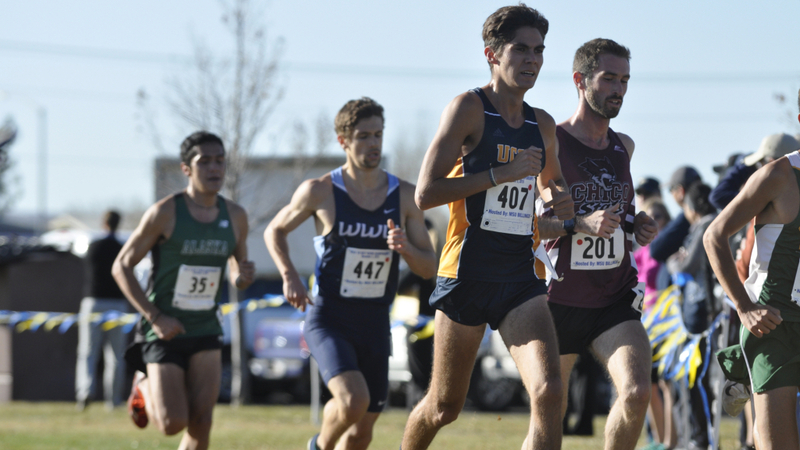 The UCSD cross country teams traveled to Billings, Montana this past weekend to compete in the NCAA West Regionals race. Seniors Tareq Alwafai and Brendan Gee earned spots as individuals at the NCAA Division II National Championship per their top 10 finishes. Overall, the men’s team finished in sixth with 163 points, and the women’s team finished in ninth with 318 points. Chico State beat out the competition on both the men and women’s side with 45 and 70 points, respectively. In the men’s 10-kilometer race, Alwafai crossed the finish line in seventh place in an astounding 30:09.47, averaging 4:52 per mile. His teammate, Gee, was not far behind, finishing in 10th in 30:30.87, averaging 4:55 per mile. The next two finishers for the men, sophomores Aren Johnson and Samuel Blake, also came in close together at 41st and 46th, respectively. Senior Terrence Luevano was the final scorer for the Tritons, finishing in 59th. Senior Will Reyes of Chico State was the individual winner, with a time of 29:45.16. The women did not fare quite as well as the men in their six-kilometer race. The top scorers for the Tritons, senior Ella Verhees and sophomore Karina Carstens, finished neck-and-neck in 40th and 41st with times of 22:31.03 and 22:31.07, respectively. Rounding out the scorers for the women were juniors Kristin Semancsin (62nd), Merin Arft (87th) and Skylar Thiel (88th). Cal State San Bernardino’s senior Laura Aceves was the top scorer for the 6k race, finishing in 20:55.95. “Both teams fought really hard,” head coach Nate Garcia told the UCSD athletics department. “We were hopeful that we would be able to advance as a team, but this is an incredibly tough region.” The top five men’s teams and the top six women’s teams earn a spot in the NCAA Championships race. Alwafai and Gee will compete in the NCAA Championship race in St. Leo, Florida on Nov. 19.